Protector plates feature embedded grid technology under the shells which absorbs and dissipates impact forces. Grid technology cell system enables greater flexibility and air ventilation while allowing for significantly reduced weight. 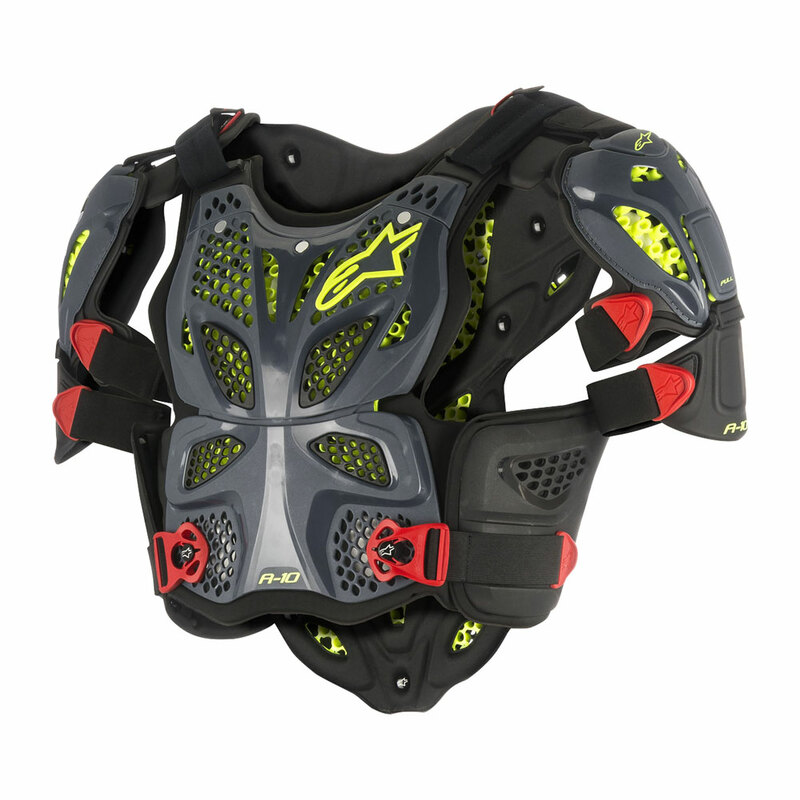 - Back protector is CE certified according with the EN 1621-2:2014 level 2. 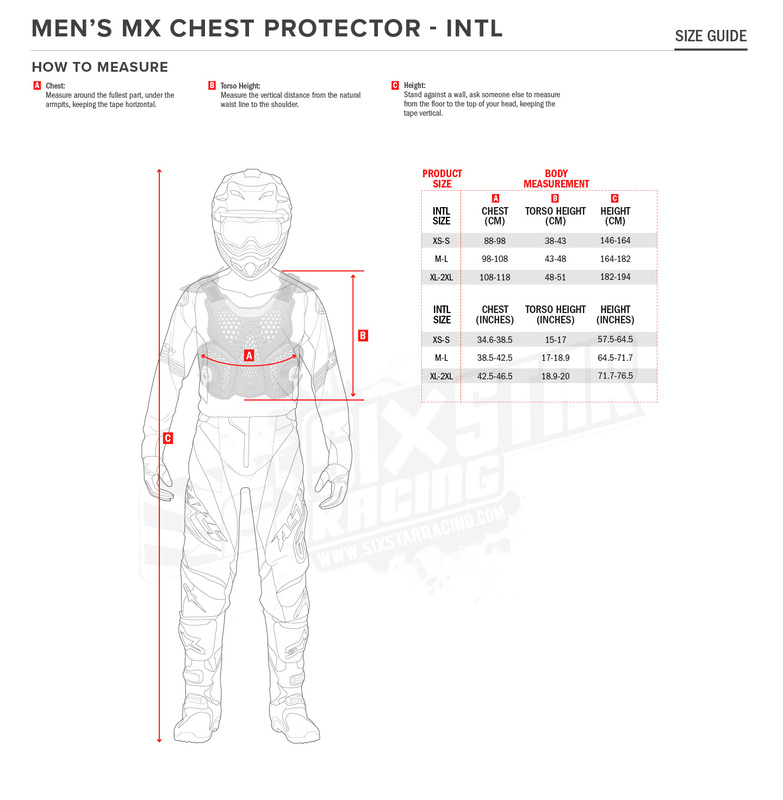 - Chest protector is CE certified according with the pr EN 1621 -3 level 2 full chest Type A. 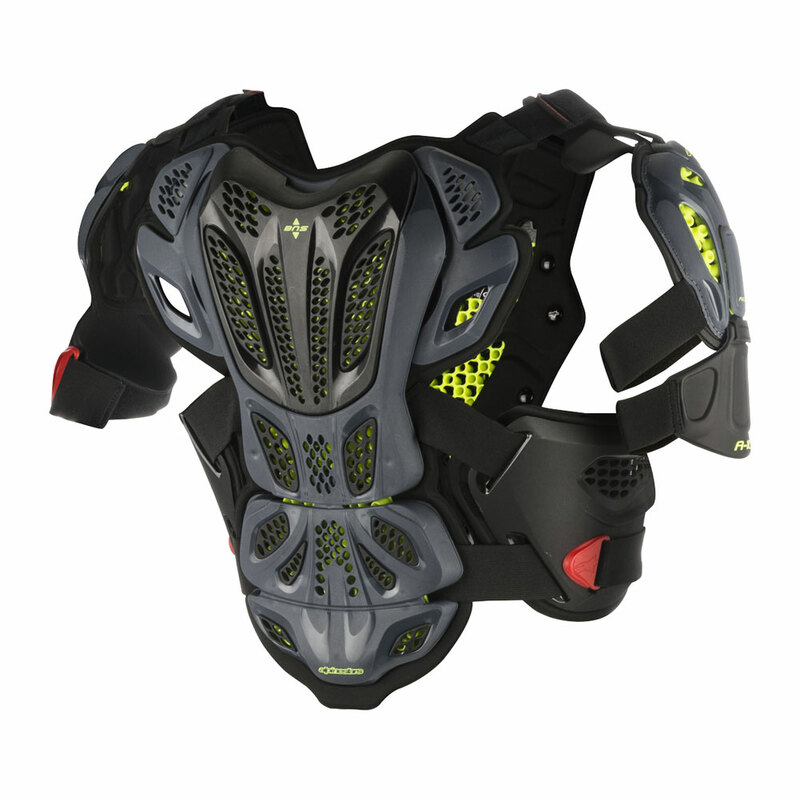 - Shoulder protectors are CE certified according with the EN 1621-1:2012 level 1 Type A. - Hard shells are constructed from a high performance polymeric material blend for optimized flexibility and excellent weight saving properties. - Shells feature perforation zones and air channeling for excellent breathability and ventilation. - Modular design to allow for addition of BNS neck support. - Removable upper back padded panel for BNS compatibility. - Removable upper front panel for BNS compatibility. - Soft touch BNS puller for convenient and safe engagement of the BNS. - Modular design means protector can be worn in various configurations allowing rider to use in different riding situations. - Removable EVA padding on biceps with a locking system on the shoulder pad keeps protection in position. - Soft bio foam padded chassis for maximum comfort and personalized, close-to-the-body fit. - Side adjustable kidney belt allows for various fit sizes and ensures protection remains close to the body at all times. - Features Alpinestars quick release attachment system for convenient in and out.